The National Film Preservation Foundation has awarded Kartemquin funding for the preservation of Viva La Causa and Winnie Wright, Age 11. 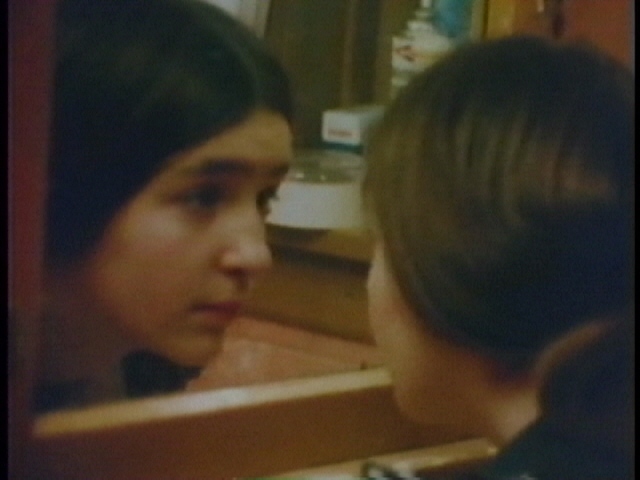 The two short documentaries, both released in 1974, are key works of Kartemquin's "Collective era" (1970-78). The preservation of the original 16mm film masters comes ahead of the films' forthcoming release on DVD as Volume 4 of the Kartemquin Collection. Last year, the NFPF awarded a grant for preservation of the two other films which will be on that DVD, Now We Live on Clifton (1974) and Trick Bag (1974). We hope to release this DVD in 2013. At its height, the Kartemquin Collective had as many as 15 members, including: Alphonse Blumenthal, Jerry Blumenthal, Vicki Cooper, Suzanne Davenport, Susan Delson, Greg Grieco, Judy Hoffman, Sharon Karp, Peter Kuttner, Betsy Martens, Mike McLoughlin, Gordon Quinn, Jennifer (Jenny) Rohrer, Richard Schmiechen (Academy Award-winning producer of The Times of Harvey Milk) and Teena Webb. Intimately involved in the social movements of the era and influenced by Marxism, feminism and civil rights movements, the Collective made films as tools for activism and community organizing. The legacy of skill-sharing and teaching they fostered remain active at Kartemquin to this day. The NFPF grant will allow us to preserve the picture elements of these films, by having Color Lab clean and inspect the original A&B rolls, and create new internegatives, new optical tracks, and new answer prints. They will also create a standard-definition Digital Betacam videotape of each film to use as video masters for subsequent distribution. For the audio preservation work, we will use the 16mm magnetic mixes that are available for each film, have these cleaned and inspected, and new optical audio produced to put on the answer prints. This 16mm magnetic audio, which has a higher fidelity of sound, will appear on the Digital Betacam tape copy and the DVD viewing copies. The new archive copies will be held at the Chicago Film Archives. The grant application was written by Kartemquin's Nora Gully. Winnie Wright, along with its companion film, Now We Live on Clifton (1974), was intended to be used by educators in order to reflect the experience of inner-city, white working-class children and the problems that they and their families were facing in Chicago. The concern was that these children wouldn’t have seen themselves represented on film before, and Kartemquin sought to correct that oversight. The documentation of these children as actors in the world that they live in—wholly conscious of subjects like gentrification, civil rights, and violence against women—is something of a revelation. Synopsis: During the mural movement of the mid-1970's, Ray Patlán creates a huge mural in Chicago's Pilsen community. The film asks people to reflect on the mural, its meaning for themselves as Latinos, and how the mural tradition started in Mexico. Viva la Causa was made to document the youth participation in Chicago’s vibrant mural movement. The final product was presented in communities to show them how art could be a source of pride for young and old alike. Previously the films which will be on The Kartemquin Collection: Volume 4 were distributed on 16mm by New Day Films, and Winnie Wright and Now We Live on Clifton were also available on VHS via Facets. Both options are no longer available. If you would like to support our work in creating the new DVD, please donate here. You can read more about our ongoing archive project at our archives blog.